Regular grinding of rails in tracks and turnouts is a firm part of a holistic maintenance strategy. It removes the inequality between worn surfaces and running surface due to rolling contact and provides the required profile after wear. 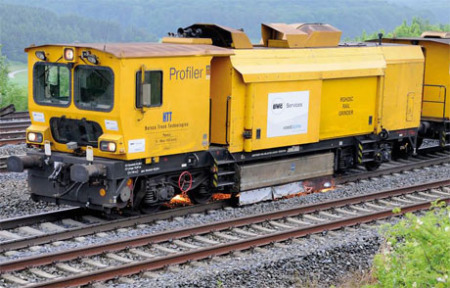 The availability of turnouts inclusive of signaling components in the track is significantly improved through grinding.